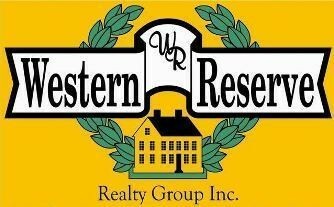 Western Reserve Realty Group, formerly known as Simeone Real Estate, has been serving the Mahoning Valley since 1971! WRRG specializes in residential & commercial real estate throughout Northeast Ohio with offices in both Girard & Cleveland. We also boast licensed, active Realtors® in both Ohio & Florida. As one of the oldest locally owned and operated real estate & development companies in the area, we have been involved with the Parade of Homes and are the proud developers of the prestigious, beautiful King's Lake in Canfield, the Vineyards of Poland, and Seneca Woods in Girard. We provide personal & professional service, including the support of our helpful & efficient office staff. Our office is fully equipped with an integrated network of computer and communication systems. We have instant access to the Multiple Listing Service (NEOHREX), Public Record Searches, and other tools and services that our agents & staff need in order to better serve you. WRRG agents & staff can be contacted via phone, fax, and e-mail. We look forward to working with you! WRRG features an extensive & ever-changing inventory of REO (foreclosure) income properties. Contact any of our Realtors® for an updated list of available properties, including residential & multifamily homes, condominiums and vacant land throughout Northeast Ohio. Prices can start under $10,000! Investors should be aware that corporate owned properties are being sold in "as is" condition with no disclosures or repairs; buyers will need to be pre-approved in writing or show proof of funds to submit an offer. We are also a HUD-registered brokerage and can assist you with finding & purchasing a HUD home. We work equally hard for our buyers, whether they are buying their first starter home, downsizing, or looking to buy or build their dream home. We have established relationships with dozens of lenders and can assist you in obtaining financing. Our listings range in price from under $10,000 to over $500,000 in all areas of Northeast Ohio, including Ashtabula, Columbiana, Cuyahoga, Jefferson, Mahoning, Portage, Stark, & Trumbull counties. Don't forget that we also have access to listings through the Multiple Listing Service. This allows buyers to receive personalized search information via e-mail. Simply choose Dream Home Finder and fill in the requested information. Please take a few moments to browse through a limited selection of our Featured Properties by choosing Featured Properties.